There are a lot of people who want to open a restaurant business. Running a restaurant business can be fun and fulfilling because it enables you to serve people with the foods and delicacies that they want to eat. Besides the fun, opening a restaurant can also provide you a substantial income because many foodies out there are always seeking a place to satisfy their food cravings. But before finalizing on business loans, check out the consequences of the same. At times, there are certain terms & conditions that you might skip, so it’s better to consult with a CPA firm before applying for a business loan. However, looking for the funding to start a restaurant can be a hurdle for people who want to have this kind of business. That is why you should be familiar with the different business loans that you can acquire to establish your restaurant. For the best loan options to help you finance and open your restaurant business, take time to read this article. Buying the necessary equipment for your dream restaurant can put a big dent in your budget. The kitchenware and modern cooking equipment such as industrial ovens are expensive. For you to ease down your business finances, it is essential that you apply for an equipment loan to cover the equipment expenses. There are a lot of offers that will let you get an equipment loan to start your restaurant business. But you should keep in mind that equipment loans are not intended to buy long-term assets. This type of loan is a go-to option for those people who want to have a budget for their business. A working capital loan is an excellent way to finance your business expenses such as the wages and salary of your workforce. If you want to have that budget quickly, this loan type option is what you should get. Just remember that you cannot buy long-term assets with a working capital loan. This loan is only for expenses for your short-term assets. Sites like Movablemark will help you in regards to financing techniques. This loan type is for those people who want to open a franchise restaurant business from a popular restaurant chain. Franchise loans offer borrowers viable terms of credits and other financial opportunities. The restaurant company, for instance, will give you a recommendation to various money lenders to open your restaurant. 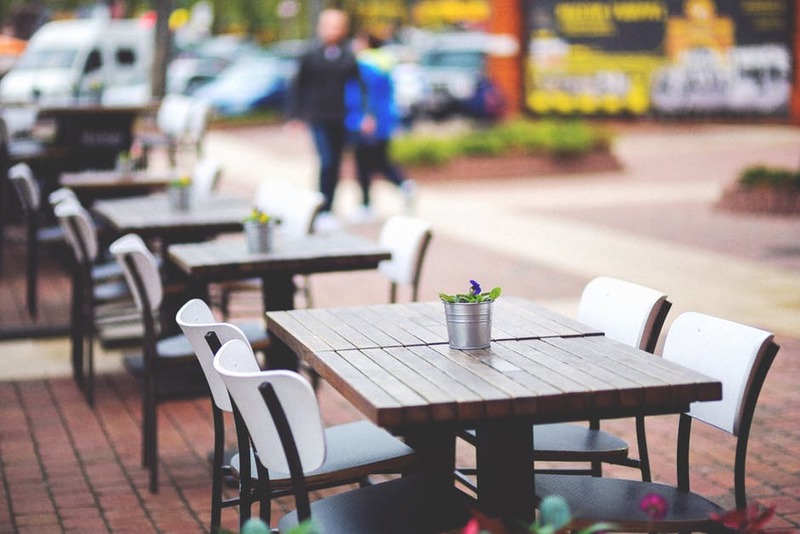 You should take advantage of it because these restaurant chains have connections with banks that will boost your chances of acquiring multiple loan options. The United States government has an agency especially designed for small business owners to acquire a loan to get their businesses starting. The Small Business Administration will give you different loans to open your restaurant business. For example, there is the SBA 7(a) loan option solely to help those potential businesses in underprivileged areas. With this SBA 7(a) loan, you can now take advantage of the money to pay for your equipment, working capital, and furniture expenses. Besides the SBA 7(a) loan, there is what they call the CDC/504 loan option which is an ideal loan type to set up your restaurant business. The CDC/504 loan can cover the payments for fixed assets such as the real estate property to stand your restaurant. If a Small Business Administration loan is not available for you, then try applying for lines of credit. This type of loan enables you to get funding for your business without the big hassles. For you to apply and get lines of credit, you will just need credible bank credit activities. If your bank statements are alright, you can now get lines of credit. However, the disadvantage of this loan type is that it will cost you a bit of your money. Lines of credit require borrowers to have a daily or weekly payments for their loans. Weekly payment can be a downside to your business income. If you are going to get this loan, you need to make a clear plan for your finances. You can consult business firms like Ashe Morgan for this purpose. It is important that you have a clear financing plan for your restaurant business. There are different kinds of loans for you, and you should get familiar with these loan options before availing one. Get knowledge from the list above to get your restaurant business started.